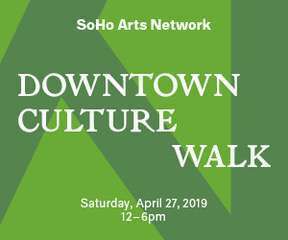 Soho Photo Gallery will be part of the Soho Arts Network Downtown Culture Walk on April 27th from 12-6pm. Sponsored by the Soho Arts Network, it’s a self-guided walking tour that lets you discover the unique and creative non-profit art spaces that exist in Soho and adjacent downtown neighborhoods. Click here for a map and details of the organizations and events. Soho Photo member photographer, Audrey Bernstein, will speak about her work, “Portrayal,” at 4pm.